Greater Life is passionate about helping those in need. We have a responsibility to be our brothers/sisters’ keeper. Let’s put feet to our faith and give to those who need it most. It could be us one day. 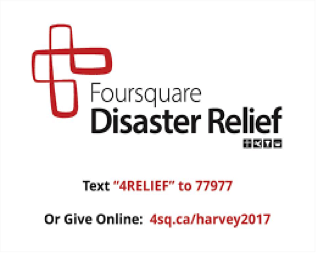 When disaster strikes, Foursquare Disaster Relief is ready to respond. Foursquare is bringing water, food and hope to Houston. Support Hurricane Harvey victims today.